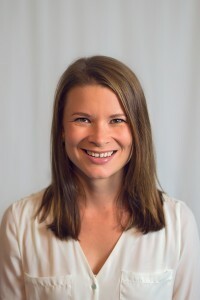 Amelia Pilichiewicz is an Accredited Practising Dietitian and Sports Dietitian (SDA Provisional), having completed degrees in both Science (Honours, PhD) and Nutrition and Dietetics. She has a special interest in gastrointestinal nutrition, women’s health including pelvic pain, type II diabetes management, sports nutrition and nutritional research. Amelia completed a PhD at the Royal Adelaide Hospital analysing the diet in patients with upper abdominal indigestion and the role of nutrients on gastrointestinal function and the regulation of appetite. She has also worked as a clinical trial coordinator and research officer investigating both conventional and alternative medications for the relief of symptoms in diabetes, obesity, indigestion and irritable bowel syndrome. Upon realising that many patients associated a connection between what they were eating and the worsening of their symptoms, Amelia decided to pursue further study in Nutrition and Dietetics. She wanted to help people by utilising the research and adapting the diet nutritionally for the management of their symptoms, rather than solely researching it. Amelia has a keen interest in women’s health including pelvic pain, coeliac disease, inflammatory bowel disease and other gastrointestinal disorders. She is a firm believer that good nutrition can aid in the management and relief of medical conditions. Everyone should be able to enjoy eating, without being fearful of any bad consequences – and little adjustments (or swaps) to a person’s diet can assist with improving quality of life. Amelia provides client-centred consultations, where the client is able to discuss their concerns, set their goals and be involved in their dietary management – which Amelia will assure are nutritious, practical and sustainable. Amelia was a high level dancer and is very passionate about this area. She has recently began competing in triathlons as a great way to keep fit and socialise. Amelia is a member of the Dietitians Association of Australia and Coeliac Society of Australia. Effects of variations in duodenal glucose load on glycaemic, insulin, and incretin responses in type 2 diabetes. Ma J, Pilichiewicz AN, Feinle-Bisset C, Wishart JM, Jones KL, Horowitz M, Rayner CK. Diabet Med. 2012; 29(5):604-8. Effects of gastric distension on blood pressure and superior mesenteric artery blood flow responses to intraduodenal glucose in healthy older subjects. Vanis L, Gentilcore D, Hausken T, Pilichiewicz AN, Lange K, Rayner CK, Feinle-Bisset C, Meyer JH, Horowitz M, Jones KL. Am J Physiol Regul Integr Comp Physiol. 2010; 299(3):R960-7. Pooled-data analysis identifies pyloric pressures and plasma cholecystokinin concentrations as major determinants of acute energy intake in healthy, lean men. Seimon RV, Lange K, Little TJ, Brennan IM, Pilichiewicz AN, Feltrin KL, Smeets AJ, Horowitz M, Feinle-Bisset C. Am J Clin Nutr. 2010; 92(1):61-8. The herbal extract, Iberogast, improves jejunal integrity in rats with 5-Fluorouracil (5-FU)-induced mucositis. Wright TH, Yazbeck R, Lymn KA, Whitford EJ, Cheah KY, Butler RN, Feinle-Bisset C, Pilichiewicz AN, Mashtoub S, Howarth GS. Cancer Biol Ther. 2009; 8(10):923-9. Relationship between symptoms and dietary patterns in patients with functional dyspepsia. Pilichiewicz AN, Horowitz M, Holtmann GJ, Talley NJ, Feinle-Bisset C.
Clin Gastroenterol Hepatol. 2009; 7(3):317-22. Functional dyspepsia is associated with a greater symptomatic response to fat but not carbohydrate, increased fasting and postprandial CCK, and diminished PYY. Pilichiewicz AN, Feltrin KL, Horowitz M, Holtmann G, Wishart JM, Jones KL, Talley NJ, Feinle-Bisset C. Am J Gastroenterol. 2008; 103(10):2613-23. Effect of small intestinal glucose load on plasma ghrelin in healthy men. Cukier K, Pilichiewicz AN, Chaikomin R, Brennan IM, Wishart JM, Rayner CK, Jones KL, Horowitz M, Feinle-Bisset C. Am J Physiol Regul Integr Comp Physiol. 2008; 295(2):R459-62. Transient, early release of glucagon-like peptide-1 during low rates of intraduodenal glucose delivery. Kuo P, Chaikomin R, Pilichiewicz A, O’Donovan D, Wishart JM, Meyer JH, Jones KL, Feinle-Bisset C, Horowitz M, Rayner CK. Regul Pept. 2008; 146(1-3):1-3. Pilichiewicz AN, Papadopoulos P, Brennan IM, Little TJ, Meyer JH, Wishart JM, Horowitz M, Feinle-Bisset C. Am J Physiol Regul Integr Comp Physiol. 2007; 293(6):R2170-8. Load-dependent effects of duodenal glucose on glycemia, gastrointestinal hormones, antropyloroduodenal motility, and energy intake in healthy men. Pilichiewicz AN, Chaikomin R, Brennan IM, Wishart JM, Rayner CK, Jones KL, Smout AJ, Horowitz M, Feinle-Bisset C. Am J Physiol Endocrinol Metab. 2007; 293(3):E743-53. Effects of Iberogast on proximal gastric volume, antropyloroduodenal motility and gastric emptying in healthy men. Pilichiewicz AN, Horowitz M, Russo A, Maddox AF, Jones KL, Schemann M, Holtmann G, Feinle-Bisset C. Am J Gastroenterol. 2007; 102(6):1276-83. Effects of intravenous glucagon-like peptide-1 on gastric emptying and intragastric distribution in healthy subjects: relationships with postprandial glycemic and insulinemic responses. Little TJ, Pilichiewicz AN, Russo A, Phillips L, Jones KL, Nauck MA, Wishart J, Horowitz M, Feinle-Bisset C.
J Clin Endocrinol Metab. 2006; 91(5):1916-23. Effects of load, and duration, of duodenal lipid on antropyloroduodenal motility, plasma CCK and PYY, and energy intake in healthy men. Pilichiewicz AN, Little TJ, Brennan IM, Meyer JH, Wishart JM, Otto B, Horowitz M, Feinle-Bisset C. Am J Physiol Regul Integr Comp Physiol. 2006; 290(3):R668-77. Dose-related effects of lauric acid on antropyloroduodenal motility, gastrointestinal hormone release, appetite, and energy intake in healthy men. Little TJ, Feltrin KL, Horowitz M, Smout AJ, Rades T, Meyer JH, Pilichiewicz AN, Wishart J, Feinle-Bisset C. Am J Physiol Regul Integr Comp Physiol. 2005; 289(4):R1090-8. Effects of intraduodenal fatty acids on appetite, antropyloroduodenal motility, and plasma CCK and GLP-1 in humans vary with their chain length. Feltrin KL, Little TJ, Meyer JH, Horowitz M, Smout AJ, Wishart J, Pilichiewicz AN, Rades T, Chapman IM, Feinle-Bisset C.
Am J Physiol Regul Integr Comp Physiol. 2004; 287(3):R524-33. Effect of lipase inhibition on gastric emptying of, and the glycemic and incretin responses to, an oil/aqueous drink in type 2 diabetes mellitus. Pilichiewicz A, O’Donovan D, Feinle C, Lei Y, Wishart JM, Bryant L, Meyer JH, Horowitz M, Jones KL. J Clin Endocrinol Metab. 2003; 88(8):3829-34.